How Far is Abhyudaya Palm Meadows? Abhyudaya Palm Meadows is a MPA approved gated community residential layout close to White Field, Bangalore. We are coming up with Abhyudaya Palm Meadows, MPA approved residential townships spread over 17 acres, with 276 plots with luxury amenities. Residential layout on 17 acres with 276 plots of 30X40 = 1200 sq ft 30X50 = 1500 sq ft and 40X60 = 2400 sq ft is ready for immediate registration now. Booking is open and the booking amount is Rs50,000/. 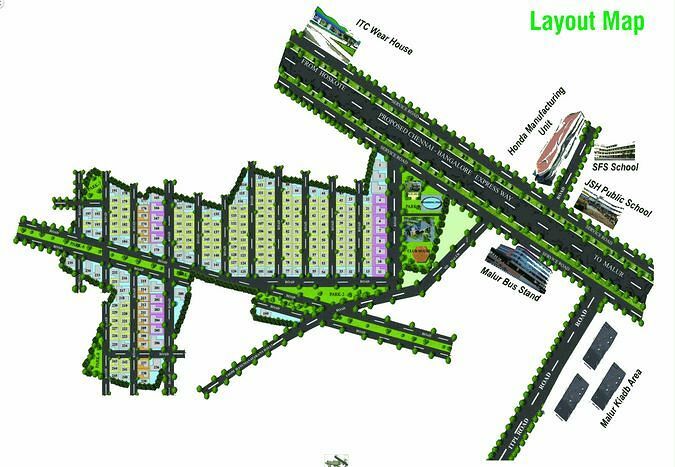 The project is MPA (Malur planning authority) approved and suitable for immediate construction of house and also throws excellent opportunity for investment. The project is located on Bangalore East. The project is away from pollution and very close to the City ITPL in White Field, which is just 20 minutes drive from the location. Abhyudaya approaches every project on the merits of its location and buyer requirements, from bold city centre apartments to commercial complex. Although no two Abhyudaya projects are same, they all confirm to the highest standards of specification and build excellence. Success in construction requires the ability to balance vision with not just technical expertise and experience, but the personal talent to deliver the very best solutions. This is why our people are so important.